Today has been a demo day for me. 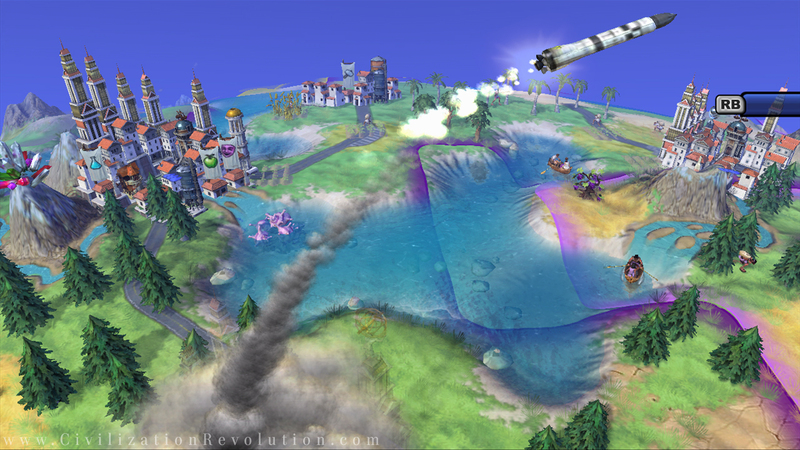 First up on the list was Sid Meier’s Civilization Revolution on the PS3. The only other Sid Meier game I have ever played was one of the first Civilization games. I found that game to be dull, complicated, and had absolutely no patience for it. Civilization Revolution, on the other hand, plays at a faster and more entertaining pace. I was so engrossed in my fight against the Aztecs and the more recent discovery of the Egyptian culture (I was playing as the Romans) that I became a little angry when the demo came to an end. What would happen to my cities of Bryantopia, Bryansville, and Awesome? I guess I’m going to have to buy the full game to find out. The next game on my demo tour was Ron Gilbert’s DeathSpank. Unlike the humor found in the Monkey Island series, I just couldn’t connect with DeathSpank’s humor. I found myself continually skipping through the quest text, bored. The combat was fun and the controls were tight. Overall, just not my thing.